This article focuses on HuffPost's decision to use an inflammatory, malicious slur to smear former American soldiers and law enforcement personnel, who now risk their lives to serve us in another capacity, at our government's request. Predictably, certain long-term users submitted hate-filled comments in response to this incitement --- which HuffPost reviewed, approved and decided to publish, even though many were egregious violations of its policy. Far from being an isolated incident, over the past few years HuffPost has repeatedly smeared, facilitated the smearing of, and otherwise dishonored those who risk their lives to fulfill the dangerous missions given to them by our government. If, after reading this article, you'd like to make your voice known to HuffPost's senior management (politely, please), here's how. Is anything true in that inflammatory headline? No. Two State Department sources who requested anonymity say a new multi-billion contract for private security firms to protect diplomats is "about to drop." And one winner could well be Blackwater, or whatever it's calling itself these days. 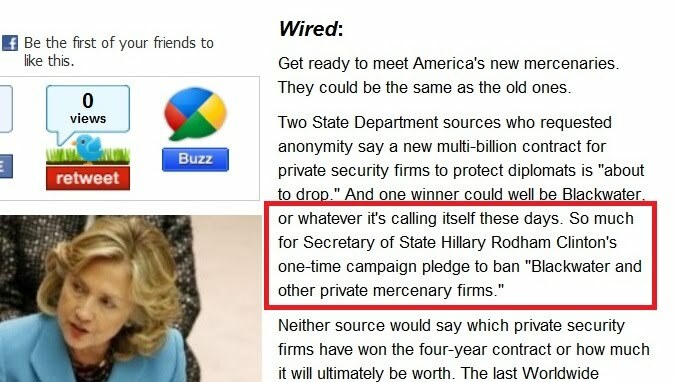 So much for Secretary of State Hillary Rodham Clinton's one-time campaign pledge to ban "Blackwater and other private mercenary firms." 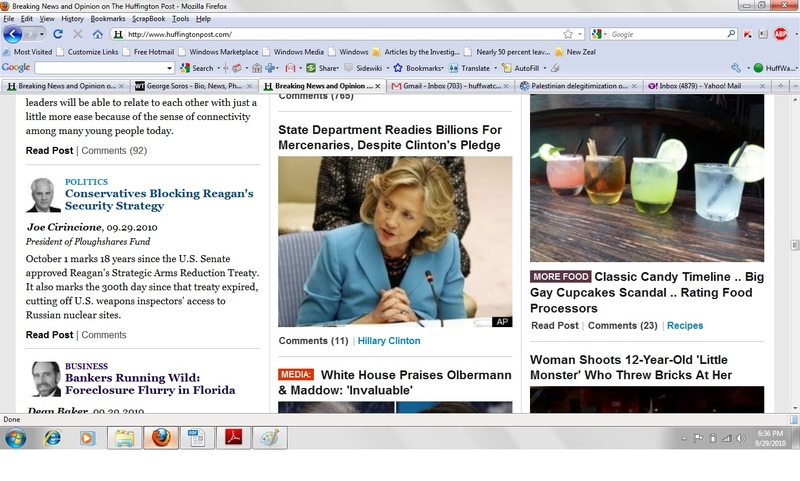 Note: As noted at the top of the screencap, this was a story that HuffPost pulled from Wired's Spencer Ackerman, here. More on him --- and HuffPost's decision to use anything he writes, let alone something this inflammatory against our former soldiers --- in a moment. 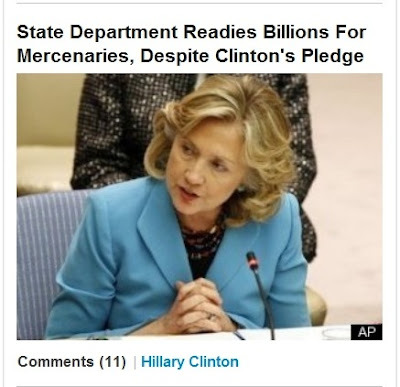 FACT: The State Department is not hiring mercenaries. It is continuing its long history of soliciting bids from, and awarding contracts to private firms to provide security for government officials who travel outside the U.S.
Is there a difference between a "mercenary" and a "security contractor"? Yes, a huge one. Honest journalists and those who have served, or care about anyone who's served in the U.S. military or law enforcement, know that to refer to American private security contractors as "mercenaries" is the most egregious, unfair and malicious way to libel them. "One that serves merely for wages; especially a soldier hired into foreign service." "A soldier who is paid to fight by a country or group that they do not belong to; If you describe someone as mercenary, you are criticizing them because you think that they are only interested in the money that they can get from a particular person or situation..."
Could Arianna Huffington and her crack team of 53 "editors" really be unaware of all the following facts? The security contractors to whom this article refers are not fighting. They providing protective services to U.S. government officials as they travel abroad --- at the request of the U.S. government. They also provide additional services, such as training police officers, and security during reconstruction and humanitarian efforts. These security contractors are almost invariably honorably-discharged U.S. military and American law enforcement personnel, who must pass extensive background checks, and complete intensive training. The firm that HuffPost habitually maligns, Blackwater, has a 100% perfect record of never letting harm come to any State Department protectee, in the four thousand-plus missions for the government, since it began this work in 1994. This fact may be why three successive administrations --- two Democratic and one Republican --- have maintained Blackwater's services. Here is a State Department briefer on its use of security contractors for the past 20 years. 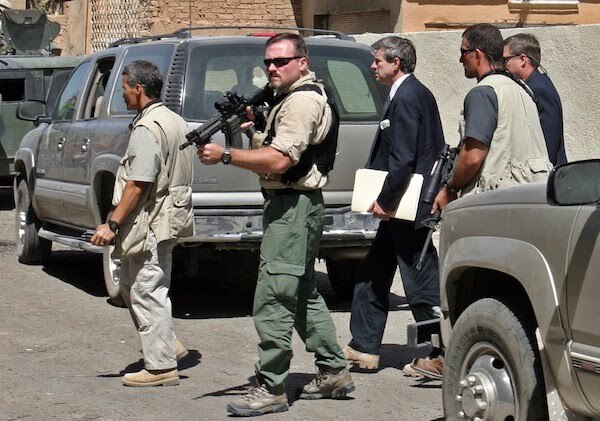 Blackwater protected Barack Obama during his trip to Iraq a a candidate, in July 2008 --- and while there, he praised the firm, saying "Blackwater is getting a bad rap." These are some of the reasons why the State Department requested new proposals from the top private security contracting firms. 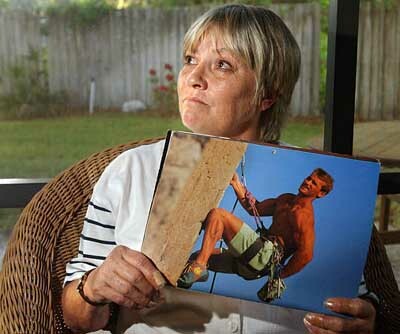 Here is the story of Bill Juneau, 36, a former law enforcement officer from Minnesota. 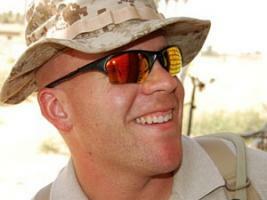 Bill was in Iraq working for DynCorp, training police officers. 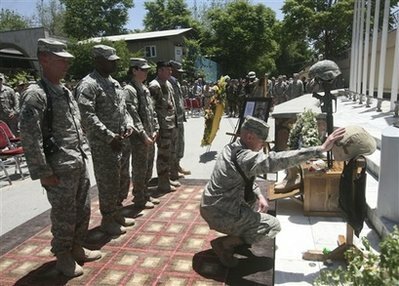 He was killed when an IED exploded near his convoy. One of Bill's friends recalled: "His idea of going over there was to help people out, and help that country out. And that's really how Bill was." Do any of these men sound like "mercenaries" to you? FACT: Secretary of State Clinton never made any public pledge regarding "mercenaries." Did she ever make a pledge, which the story page described as relating to "private mercenary companies," as HuffPost's headline explicitly claimed? Well, let's follow the link back to Ackerman's piece at Wired, which brings us back to this 2008 article. Wouldn't you just know it? The link to that quote doesn't work. And there's absolutely no listing in YouTube to Clinton having ever said that. There's only repetitions of this supposed quote on the Web --- but we were able to find no first-source documentation. Zero. What the Ackerman-HuffPost article is apparently referring to is Clinton's co-sponsorship of a bill in 2008 --- while she was a U.S. Senator and presidential candidate --- that would ban the use of all State Department private security contractors in Iraq and Afghanistan. 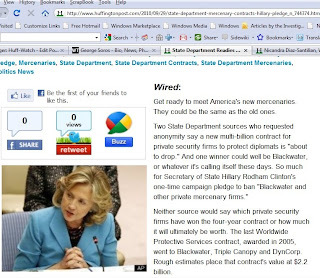 Since becaming Obama's Secretary of State, however, she has had to follow his policy --- which clearly is to maintain the use of private security firms in battle zones. So where does that leave us? With just one more inflammatory, misleading and decontextualized headline element concerning former U.S. soldiers and law enforcement personnel, who are serving at the government's request in battle zones. In 2006, Ackerman was fired by The New Republic for threatening his editor, that he'll “make a niche in your skull” with a baseball bat... then declaring in an editorial meeting that he would “skullfuck” the corpse of Abu Musab al-Zarqawi to establish his anti-terrorist bona fides. "If the right forces us all to either defend Wright or tear him down, no matter what we choose, we lose the game they've put upon us. 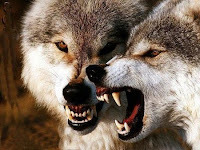 Instead, take one of them -- Fred Barnes, Karl Rove, who cares -- and call them racists. Ask: why do they have such a deep-seated problem with a black politician who unites the country?" Want to learn more about Ackerman's depravity and assault on the basic tenets of good journalism? See this article at Big Journalism. Was this shameful incident the result of HuffPost's negligence --- or its journalistic malice? 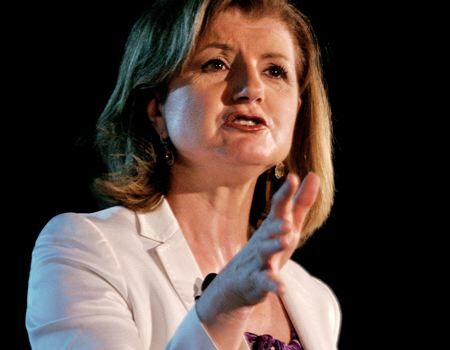 "[At HuffPost] there are guidelines that have to be followed -- and they include a prohibition on... inflammatory claims..."
And let us not forget that she also testified before the U.S. Senate and the FTC on "the future of journalism." Clearly, there is a fundamental clash between what she says publicly, and what occurred in this incident. If HuffPost had an otherwise "clean record," we might be able to attribute it to gross negligence. The fact is, however, that this is merely the latest example of HuffPost's habitual smearing of current and former U.S. military personnel, stretching back at least 18 months. HuffPost publishes a front-page headline accusing the U.S. military of conducting battlefield executions. The proof that its source, a known liar, provided? Oh, a few people told him stories. HuffPost published a top-of-the-page splash headline alleging the U.S. military had engaged in "collateral murder." 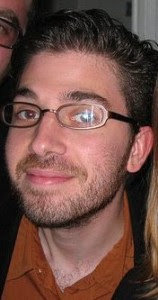 When numerous analysts and even Stephen Colbert, whose show HuffPost covered at the time on a nearly nightly basis, demonstrated that this was a malicious libel against our soldiers, HuffPost not only neglected to run a retraction, it doubled down and allowed one of its top "reporters" to demand action from Congress. HuffPost knowingly enabled and protected an egregious violator of its policies to repeatedly post phony pictures on all its top news threads, allegedly showing American soldiers sexually torturing Muslim women and children, which he claimed is a matter of their "standard operating procedure." When a Huff-Watch operative attempted to expose these photos as fakes, HuffPost repeatedly blocked his comments, then banned him. Violating its own policy, HuffPost knowingly allowed certain users (all long-term radical leftists) to celebrate the murder of U.S. civilian contractors in Afghanistan. Examples: claims they "got what they deserved," are "murderers" and "nuts," that the Taliban is "doing us a favor" by killing them, and that Americans "should all join the war against" such contractors. Instead of instantly banning these violators, as HuffPost claims is its policy in cases of "outrageous" conduct, it not only left all their accounts active, it protected them by banning a non-violating user who dared to stand up to them, as has become its practice. Why would HuffPost act with such malice against our active duty and former soldiers, over so long a period of time? Perhaps one day, someone in a position of influence will ask it to explain itself. Perhaps, as Paul Mirengoff of Powerline recently suggested, this is all part of Arianna Huffington's "desire to market her site abroad, especially in the Middle East" (more below --- apparently it's working). If HuffPost was just an out-on-the-fringe blog that only the radical left supported and read, the impact and potential danger of what it's doing would be limited. The fact is, however, that HuffPost is the #1 most-read blog in the world, a top-ten U.S. "news" site, and is supported by some of the world's biggest advertisers. Further, given that 350,000+ of HuffPost's unique monthly visitors originate in Muslim-majority nations --- including Iran, Pakistan and Saudi Arabia --- one can only imagine what kind of tragedies its acts and omissions could incite. The greatest negative consequence of HuffPost's malicious acts towards current and former U.S. soldiers, however, is their tendency to advance the cyber-jihad --- a key objective of which is to undermine our resolve to fight the war against Islamism, and to view our soldiers (active-duty and retired) with unjustified disdain. (2) Forward the link to this story along to others who support the U.S. military --- and those who, after their service, decide to serve as security contractors. 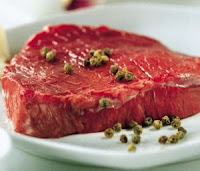 So what kinds of user comments were incited by this "red meat" --- which HuffPost reviewed, approved and decided to publish? Need you ask? Fact: HuffPost reviewed, approved and decided to publish every one of the following hate-filled comments, in response to its incitement. These are but a sampling; see more at the thread. Also, note how many of these users have 20 or more "fans" (highlighted in bold), meaning they are not hit and run "trolls" that Ms. Huffington falsely claims are the ones responsible for comments that violate her site's policies (such as these libels, ad hominem attacks, etc.). And as you review these comments, ask yourself two questions: (1) Could some of these "approved" users be cyber-jihadis? (2) How do their hate-filled comments fundamentally differ from those one would find at al-Jazeera, or a radical Islamist hate site? Cut backs for schools, billions for murderers. As America loses it's financial stranglehold on the world's economies she will resort to more base and ancient methods to get her way, brute force. How do you use brute force without being seen to use it? Mercenaries.